Across the country, Lone Star’s stock in trade is hearty portions of simple yet delicious meals, rustic Wild West-style ambience, and a friendly, warm vibe that welcomes in everyone from families to couples. The new Lone Star Dunedin takes the sense of cosiness and warmth that permeates the Lone Star atmosphere and gives it a physical manifestation in the shape of four Escea gas fireplaces. Lone Star Dunedin stretches over 950sqm on two floors, including outdoor areas, yet still feels cosy and intimate. 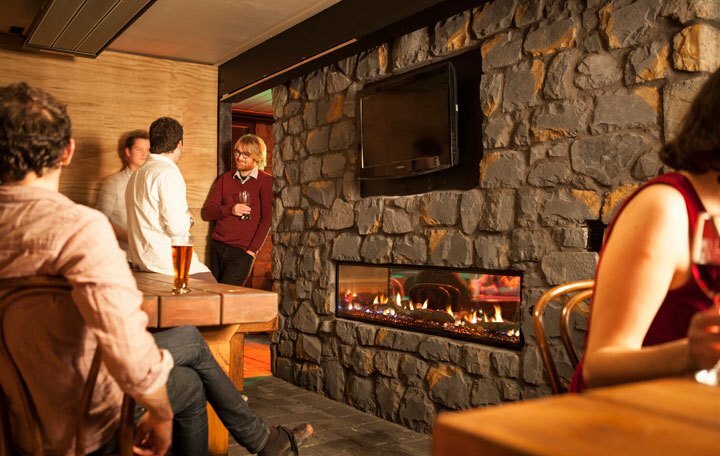 The secret is the four Escea fires, which keep customers toasty warm as they enjoy their drinks and meals. 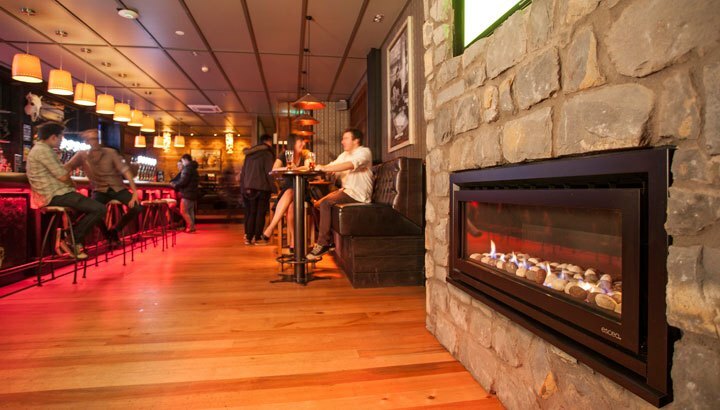 “We invested heavily in the interior of the res­taurant and bar and needed a heating solution that would look just as good. Everyone loves a good fire, they create a welcoming atmosphere that people are reluctant to leave. And the seats near the fire are always the first to be taken,” says Lone Star owner Nick Nilsen. Indoors, the ultra-wide flame pattern of a double-sided, frameless Escea DX1500 fireplace provides a beautiful centrepiece to the dining area, while Escea Heat Ducting Technology circulates its 10.4kW of heat throughout the booth seating. Escea’s Architectural Detailer Grant Simpson worked closely with Nick and the team from Lone Star to develop a system that would allow the heat from the DX1500 fireplace to be distributed evenly through the booths. The result is a dramatic see-through gas fire in the centre of the bar, and warm patrons around the periphery. Outdoors, an EF5000 fireplace provides a stunning source of radiant heat for customers to cuddle up to on cold winter nights. The stainless steel fascia reflects the flickering flames, and the natural river rock fuel bed complements the use of natural woods and stone throughout the restaurant. 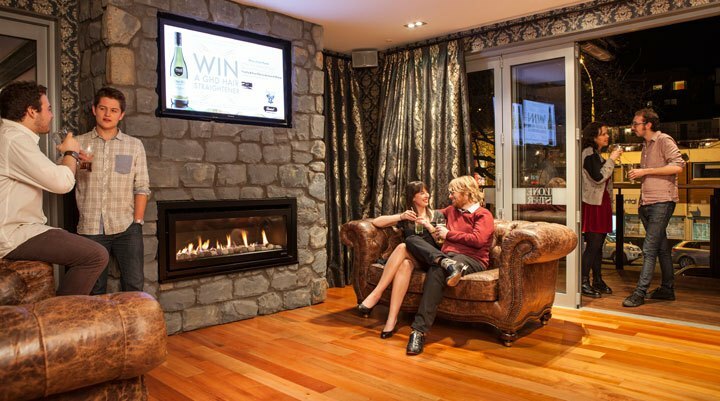 EF5000 fireplaces are a low-maintenance alternative to traditional wood fires, and as such can now be seen in a vast array of settings, from urban watering holes to Queenstown ski fields. A high heat output DL1100 with chic black fascia is the perfect complement to the upstairs lounge space. 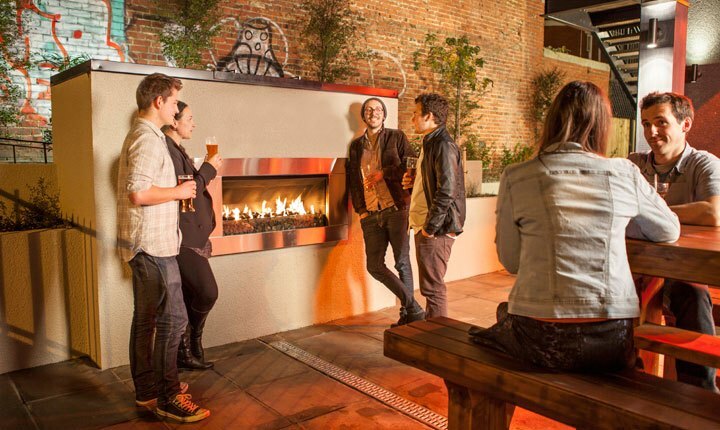 Patrons can sink into squashy leather couches with a beer as they bask in the fireplace’s 10.4kW of warmth. A flatscreen TV is mounted directly above the fire – this is made possible by the DL1100’s zero clearance rating, which allows for easy installation with no need for a fire-rated wall construction. Lone Star is a stunning example of the versatility of the Escea range in commercial settings. To discuss drawing an Escea into your plans, contact our Architectural Advisor at AA@escea.com.